Stock Styles was a project developed to conceptualize the creative content recommendation methods for Adobe Stock buyers, primarily creative professionals. We determined the most useful recomendation feed would be able to filter by content types, curate content based on personal tastes (or Styles developed for a project), and recommend content based on future assets needed, rather than previous assets purchased. 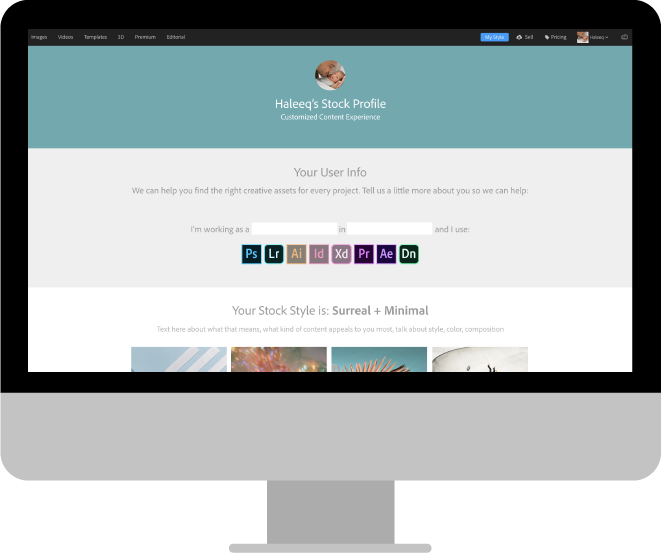 To build Stock Styles as a customized experience, we would take into account the entirety of a creative workflow. 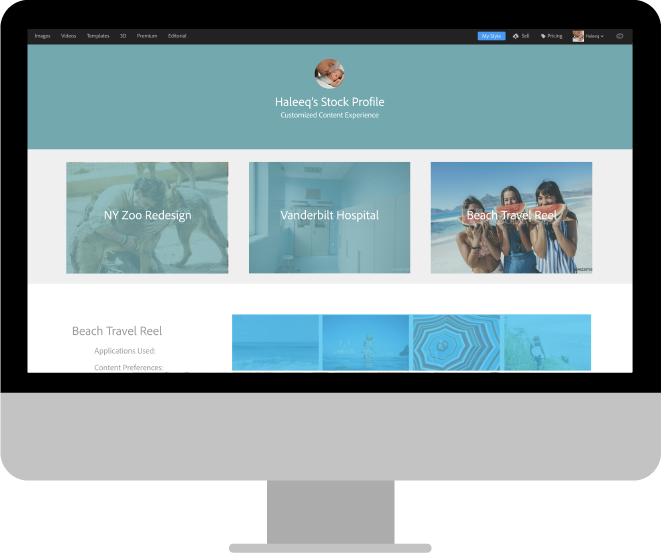 We would combine the tools they use (Adobe Creative Cloud apps and the free content they download), the content theyhave consumed (including previous purchases, search queries, and contributed content), and their personal and professional style.